Our certified technicians provide on-site system calibration, calibration verification, and preventive maintenance services to keep your tablet compression equipment in optimal operating condition. We recommend calibration at least once a year to maintain tablet quality. Our experienced technicians provide a complete system calibration which includes making any necessary adjustments to your instrumentation monitoring system to reflect the results of the calibration. All standards are NIST traceable and calibrated within the preceding 12 months to ensure accuracy. A signed Calibration Certificate is provided for each calibrated sensor. Our experts perform verification of the sensor readings on your equipment by comparing them to our calibrated standards. All standards are NIST traceable and calibrated within the preceding 12 months to ensure accuracy. The Natoli Calibration Verification service also provides a detailed report/readout of the current sensitivity value of your sensors allowing you to compare to your current settings and determine if your software needs to be updated. Adjustments are not made as part of the calibration verification service. Scheduled preventive maintenance can extend the life of your tablet compression equipment as well as enhance performance, improve tablet quality, and increase production yields. Natoli Preventive Maintenance can be provided as a standalone service or in addition to Natoli System Calibration and Calibration Verification services. We will first assess the condition of your equipment and then, if applicable, provide you with a recommendation and written report. 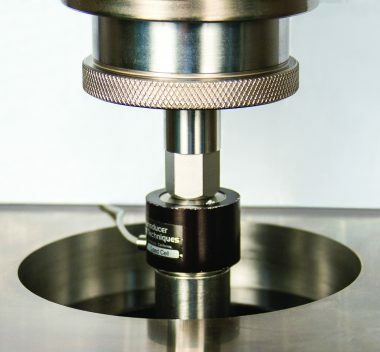 *Calibration Verification and Preventive Maintenance for all press models in the industry. System Calibrations for select models only. Are you interested in getting information about our other products?